is a comprehensive library of Applied Behavior Analysis (ABA) therapeutic resources for schools, educators, and ABA providers. For more information please call 201.777.4557. Registered Users: Please click here to LOG IN. Our team of experts work collaboratively to implement quality interventions and education for learners with autism. 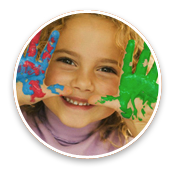 Our consultants all have from five to twenty or more years of experience in the field of Applied Behavior Analysis.